We had some errands to run… people to see… sigh, no rest for ther wicked! We dashed to PJ, then to Ampang… then back to Bangsar. By the time we finished, it was 2.29pm… and we feared that most restaurant kitchens would be closed:( We legged it over to the shop closest to where we parked, and as it happened , turned out to be a Vietnamese Restaurant. Cungdinh Vietnamese Restaurant at ONE Bangsar. Vietnamese cuisine can be basically divided into three categories, each pertaining to a specific region. With north vietnam being the cradle of vietnamese civilization, many of Vietnam’s most famous dishes, such as PHO (rhymes with “duh” ..), have their birthplace in the North. The North’s cuisine is more traditional and more strict in choosing spiciness and ingredients. 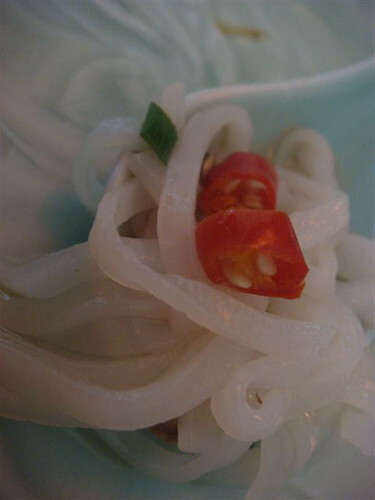 The cuisine of south vietnam has been influenced by the cuisines of southern chinese immigrants, and thus Southerners prefer sweet flavors in many dishes. The central region serves characteristically small side dishes and is spicier. Ooooo… i see one of my favourite starters! A Hue specialty Banh Beo, is served as a tray-ful of delights – individual dishes of steamed rice flour dough with tiny dried shrimp, spices and pork crackling (but in our case, fried breadcrumbs) and served with a sweetened nuoc mam sauce. 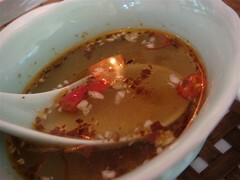 The fish sauce with the searing, hot chili is what gives it that tongue-numbing kick! Enter the Goi Cuon… A summer roll !!! 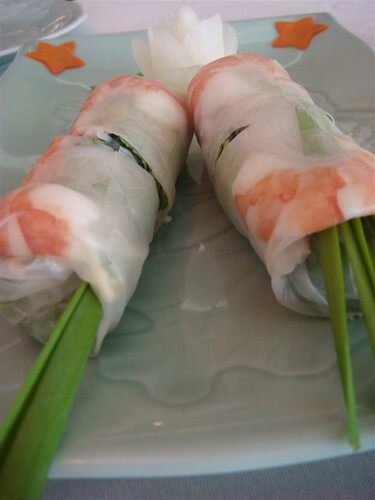 Gui Cuon (…literally “mix salad rolled”) is a Vietnamese food consisting of pork, shrimp, herbs, rice vermicelli, and other ingredients wrapped in rice paper. 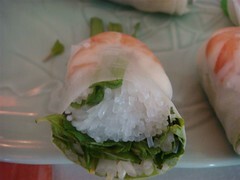 Unlike Chinese egg rolls or spring rolls, summer rolls are served cold, and are not fried. Hmmm.. again the pork was missing.. and again, though tasty.. the spring roll lacked that rich flavour that only pork can impart..
Another great beef entrée is the Bo Dac Biet..
We watched the flickering blue flames (enhanced by my killer photoshop skills for effect.. (not!) 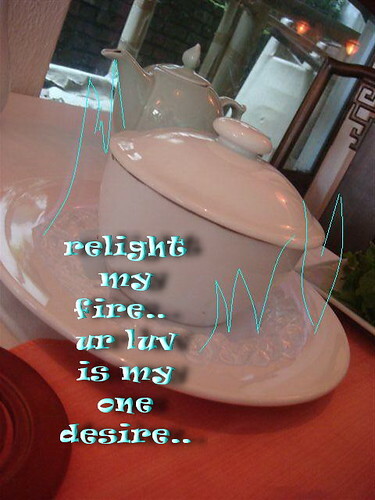 .. teehee:P) engulf our starter..
Ah.. no wonder… ! The sweet, sweet smell of beef broth.. ! In Vietnam, soups are hands-down favorites of North and South regions and more likely to show up at breakfast than any other meal of the day. 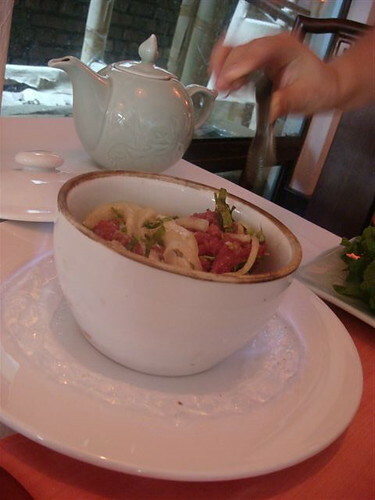 The beefy Pho of North Vietnam reflects the influence of Mongol invaders with their love of beef. We dug into our PHO. It was gooooooooood. In contrast, whilst the beef resisted nothing… the noodles resisted the tooth. A well-prepared soup, delicately yet purposefully flavoured, can act like a soothing balm. We were comforted. We were soothed. 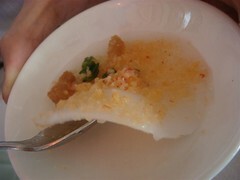 Finally dessert was served.. the Banh Flan! 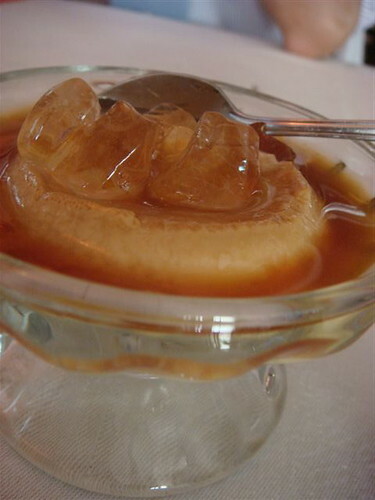 The Banh flan(caramel flan) is a french dessert that made its way into vietnamese cuizine, via the french colonization of vietnam. Eventhough the flan is traditionally baked, OVENS were rare in vietnam. Therefore, in vietnam, cakes were usually steamed or boiled, but very rarely baked. The steaming method is much faster, but harder to master than the bake. Heat from the steam is not predictable like heat from the oven. 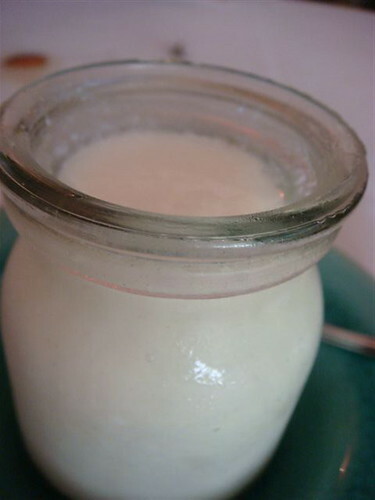 Finally , the homemade vietnamese yogurt. This, i liked, even better than the banh flan. It was more tart (as a yogurt is) than sweet, and had a thinner texture than your normal processed yogurt. Sweet and tart at the same time.. I will check this place out – too tempting to resist! Know of any more wallet friendly Viet eating place in the Klang Valley? 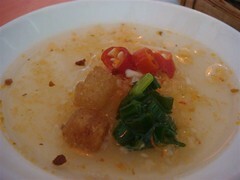 tummythoz: maybe try sao nam on tengkat tung shin ! 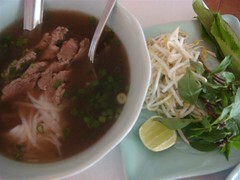 oOO looks great, I miss Viet food. Used to travel to HCMC a few times a year in my previous job. I always tell myself to be more adventurous when it comes to Viet food. But somehow, i always ended up having the same thing; PHO! Love it and just couldn’t resist it. Yumz! oh this is so awesome, I like those viet wraps, I had a vegeterian one last sunday at organic life, it was so awesome!